Library users can get access to a variety of digital content including eBooks and eAudiobooks. We currently have two digital service providers, rb digital and OverDrive. Come in and talk to a librarian if you have any difficulties with either of these services. 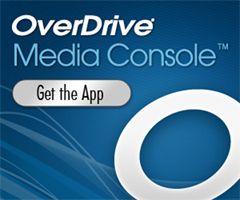 OverDrive is a digital collection of eBooks and eAudiobooks. Download the app on your Kindle, iPad, iPhone, or other eReader / player and have access to many titles available for a two week check out. The items return automatically so no fines! rb digital (formerly OneClickdigital) is a digital collection of eAudiobooks. Download the app on your Kindle, iPad, iPhone, or other eReader / player and have access to thousands of items. Now includes the AudioLibros Spanish language library!